Our physicians discuss vaccines with our patients every day, and we’re happy to do so with you as well. The following is a list of some questions that we commonly hear and answers to those questions that you may find helpful. Suspending fluid like saline or water and a piece of the virus or bacteria that we are protecting against. These two components make up the majority of the fluid injected during a vaccination. Preservatives or stabilizers to make sure that the vaccine is safe and will not cause transmission of unwanted bacteria or viruses. As much as possible, we use vaccines that are preservative-free, but that is not an option for all vaccines. The amount of preservatives or stabilizers in vaccines is very small—you consume more mercury by eating ONE can of tuna than by receiving all of your lifetime vaccines! Adjuvants like aluminum to increase the body’s immune response to the vaccine, ensuring stronger, longer protection. Essentially they irritate the body a little to draw the attention of our immune system to the virus or bacteria we are protecting against. Adjuvants are at very small concentrations in vaccines and are very safe in our bodies. Aluminum is naturally occurring in the environment, so we are exposed to it just by eating and drinking. The vaccines given in the first 6 months of life contain only 4.4 milligrams (mg) of aluminum. In comparison, a breast fed baby consumes 7 mg of aluminum just by nursing in the first 6 months of life. A baby who eats formula for 6 months ingests 38 mg, and a baby who eats soy formula ingests 117 mg of aluminum. NO, absolutely not! Vaccines do NOT cause autism. The concern about a connection between vaccines and autism originated from a study published in The Lancet in 1998 by a scientist named Andrew Wakefield. He suggested that the MMR vaccine caused autism. Other researchers attempted to replicate his findings and no one could. It was later revealed that he was paid to report this information and that his study was fabricated. The article was retracted from the journal, and he lost his medical license. Although the study was a complete fraud, concern about the connection between vaccines and autism was taken seriously. Many well-designed scientific studies have been done since that clearly disprove that vaccines cause autism. In fact, we are learning more and more about autism. Some fascinating studies are revealing symptoms of autism that exist before babies are old enough for vaccines, maybe even in utero. The true cause of autism is being investigated, but we feel very confident that it is NOT from vaccines. Do vaccines overwhelm the immune system? How is it safe to give so many at one time? Our world is teeming with bacteria and microorganisms! Just by being on earth and breathing, eating, and touching our environment, we are exposed to bacteria and viruses every minute. Our immune system’s function is to identify these bacteria and viruses and to remember them to protect us from future illnesses. The number of bacteria and viruses in vaccines is a small drop in the bucket compared to what our immune systems recognize on a daily basis. Based on the number of antibodies in the blood, babies’ immune systems could likely respond to 10,000 vaccines at one time—so much for a weak immune system, right?! Why are there so many vaccines nowadays? Many parents express concern about the number of vaccines. Although the number of vaccines has increased over time, the number of components in those vaccines has decreased. Advances in protein chemistry have resulted in better, simpler vaccines. Whereas previously one vaccine like smallpox contained about 200 proteins, the 11 routinely recommended vaccines today contain fewer than 130 proteins in total. Won’t my baby get the needed protection from breastmilk? We strongly encourage breastfeeding when possible for the many benefits it offers to moms and to babies, but breastmilk does not ensure long-lasting immunity. Immunity is defined as the presence of an antibody to a virus or bacteria. Antibodies are the part of our immune system that fights off disease, and antibodies are specific to that certain disease. Immunity can be passive or active. Passive immunity means that the antibody was given to the body (for example, through mom’s placenta or breastmilk), but not created by the body. Passive immunity lasts for only weeks to months. Active immunity means that the immune system was exposed to the virus or bacteria and created antibodies. Antibodies created by active immunity ensure long-lasting immunity. Do vaccines contain dangerous components like formaldehyde, thimerosal (mercury), or aluminum? See the information above about what components are in vaccines and the small quantity of those additions. Formaldehyde, mercury, and aluminum can cause health problems depending on the amount that we are exposed to. If they are in vaccines, they are in microscopic amounts that do not affect our health. As discussed above, you get more mercury from ONE can of tuna than all of your vaccines. Babies get more aluminum in their body by nursing or drinking formula than from vaccines. Our own metabolic system naturally creates more formaldehyde in our body than the amount in vaccines. The amount of these chemicals in vaccines does not decrease the safety of the vaccines. In fact, it increases the safety of vaccines by ensuring that they are free of unwanted bacteria and viruses and that they are as effective as possible. Are the risks of vaccines greater than the benefits? Vaccines have been so effective at eradicating disease that the side effects of vaccines now sometimes feel more intimidating than the actual disease they are preventing. However, don’t be fooled. The reasons that vaccines are given for these specific illnesses is because they are illnesses that can cause very significant morbidity (illness) and mortality (death). The majority of children have no side effects from vaccines beyond a few tears from a needle poke. The children who do experience side effects from vaccines generally get relief simply with Tylenol. Occasionally children can have more intense allergies or reactions to vaccines, but the risk of that is less than one in a million—a lot less than the chance of contracting vaccine-preventable illnesses! So NO, the risks of vaccines do not outweigh the benefits. Vaccines can infect you with the illness they are meant to prevent, right? This is a common concern that we hear regarding the flu shot. The bacteria or virus in the vaccine is not a functioning living organism. The majority of vaccines contain just a little microscopic piece of the outside shell of the virus or bacteria. That tiny piece cannot cause an infection. 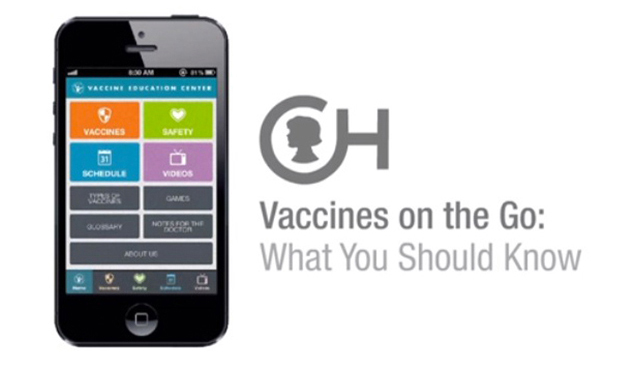 Other immunizations are called live attenuated vaccines. In this case, the virus or bacteria is alive, but it has been modified (or attenuated) so that it cannot actually cause illness. You may get some achiness or a low-grade fever as your immune system reacts to vaccines, but you CANNOT get the illness that is being prevented by the vaccine. How can vaccinating my child help other people? There are people in our communities who cannot safely receive vaccines or do not have strong enough immune systems to become protected by vaccines (for example, infants, elderly, pregnant women, and people with weakened immune systems like cancer patients). These people depend on what we call “herd immunity.” When enough people in a community are immunized, the ability of a bacteria or virus to spread through the community decreases. In essence, this “herd immunity” is able to protect the people among us who cannot receive vaccines. If enough healthy people choose not to vaccinate, everyone else in the community is put at risk for outbreaks. We strongly believe that vaccines benefit the individual and the health of the community. Please do you part to keep yourself and those around you healthy! Aren’t infection rates low enough in the US that my child would be safe? Unfortunately, no. The illnesses that vaccines prevent are not fully eradicated in the US or anywhere else in the world. As our ability to travel increases, exposures and spread of disease increases. Even if you are not planning to travel, your neighbor or the stranger next to you may have just returned from abroad. If vaccine refusal rates increase, herd immunity will decrease and the risk of outbreaks will rise. Outbreaks can happen anywhere at any time. Can I wait until my baby is older? We strongly recommend vaccinating on the recommended schedule. No vaccine can be put on the schedule until there is data that it does not affect the safety or efficacy of other vaccines on the schedule. When families opt to modify the vaccine schedule, it introduces more potential for vaccine error and vaccine interactions. It creates more pokes and traumatic experiences for kids. We don’t like scaring kids or creating needle phobia! But most importantly, it leaves kids unprotected from preventable illnesses during a time when they are most vulnerable.